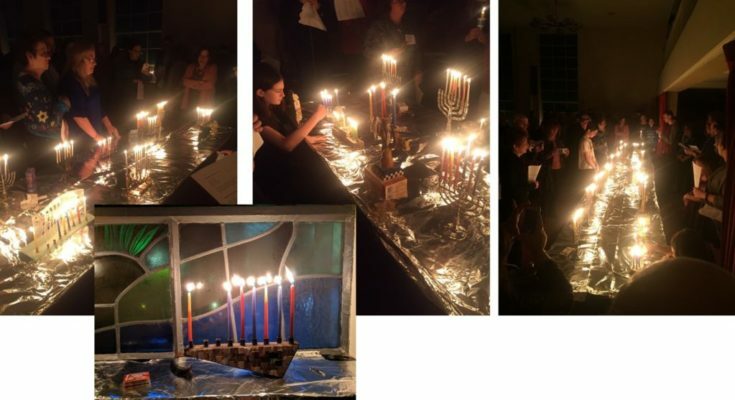 Tot Shabbat at Vassar Temple, presented by Rabbi Renni Altman, music by Olivia DiLorio. 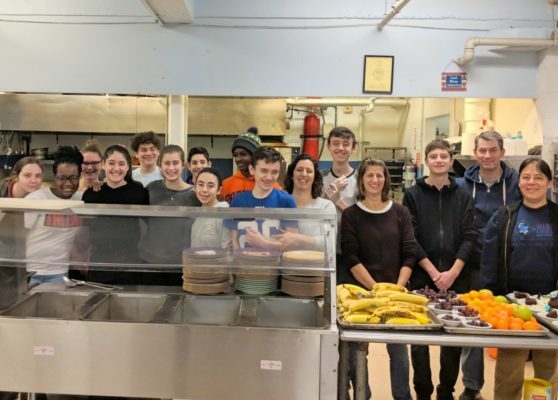 Vassar Temple’s super Teens did Lunch Box! 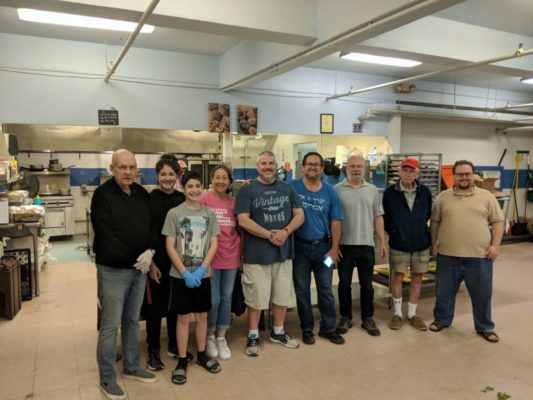 Thanks to parents Danah Moore, Michelle Sinn and Rose Hartman for their help and guidance, and to the congregation for their support providing all the food! 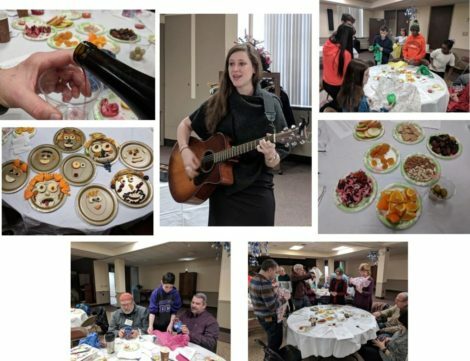 Tu B’Shevat Seder was held in January, 2019, featuring Jenna Mark leading everyone in song. 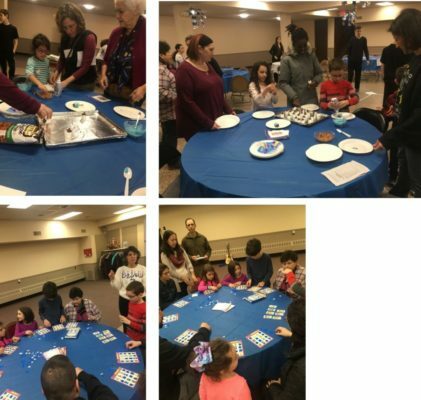 Other activities included making fruit faces, planting seeds, recycling and a beautiful seder. 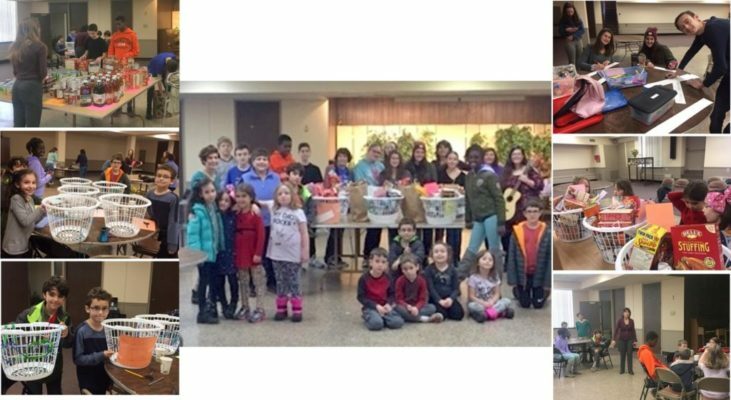 Vassar Temple religious school students and teens teamed to decorate and fill Thanksgiving food baskets for our neighbors in need. The food and turkeys were donated by members of the congregation. 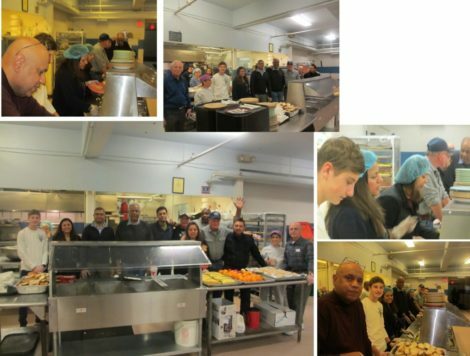 This project is done every year in partnership with Hudson River Housing. 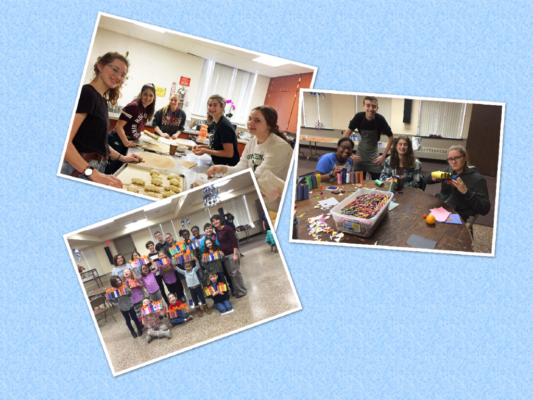 Youth Group Advisor Magdalena Schneiderman led Vassar Temple teens in their annual cookie and rugalach bake sale fundraiser. 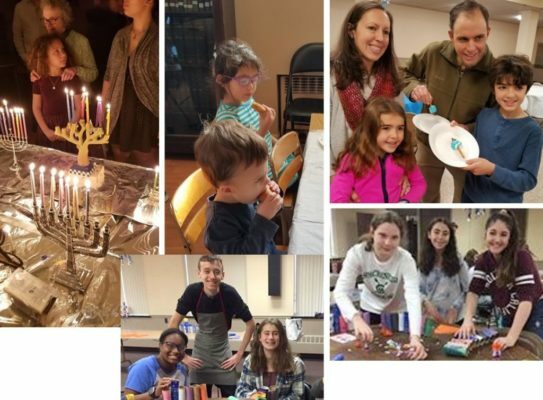 Chanukah at Vassar Temple includes Tiny Temple party, religious school crafts, family fun, and a community candlelighting for everyone. 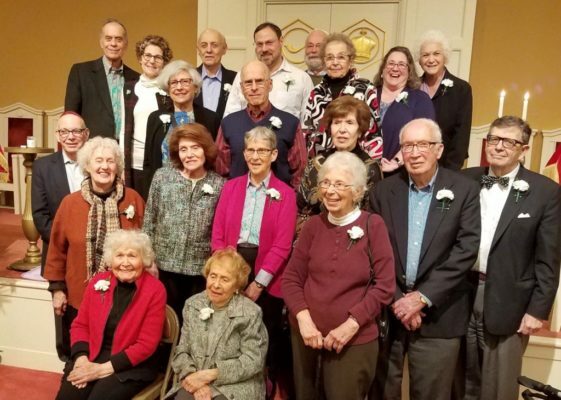 Vassar Temple honored its long time members of 40 years or more at its annual Generations Shabbat dinner and service. 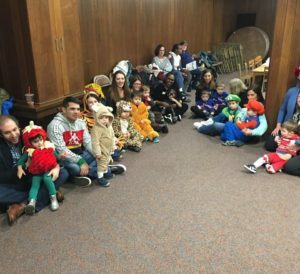 Sukkot Fun at Vassar Temple! If you cannot view the “menu bar” (line with page selections above the photos), try viewing using Internet Explorer. 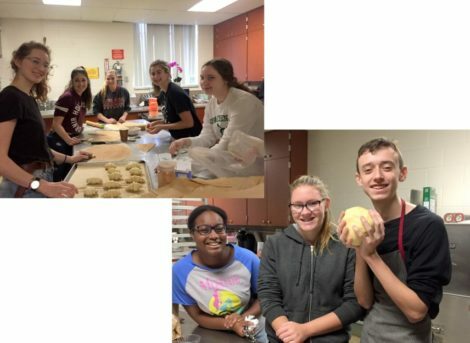 To view additional photos, click on the arrows to the right or to the left. 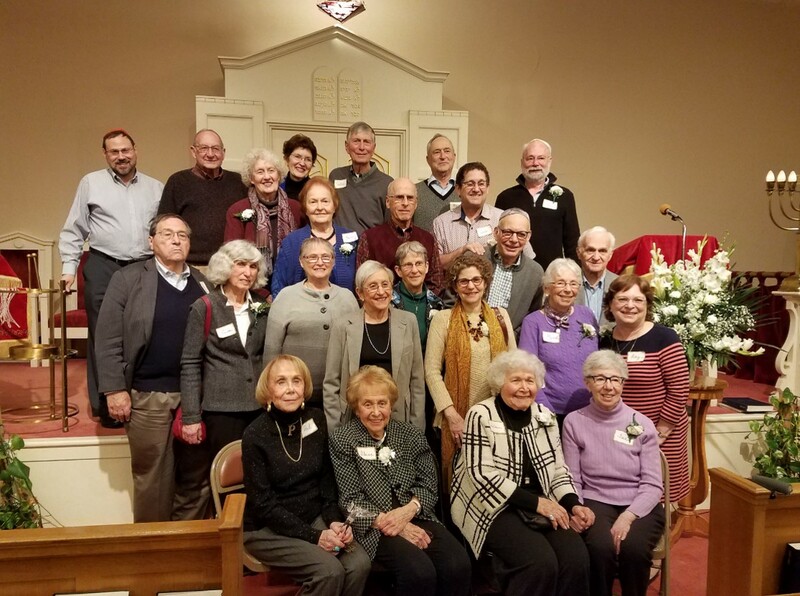 Join a Reform congregation with a rich history and discover the powerful relevance of Judaism today. Participate in projects that improve our world. Delight in spiritual and intellectual growth. Share your joys and challenges and achieve a sense of peace and belonging. 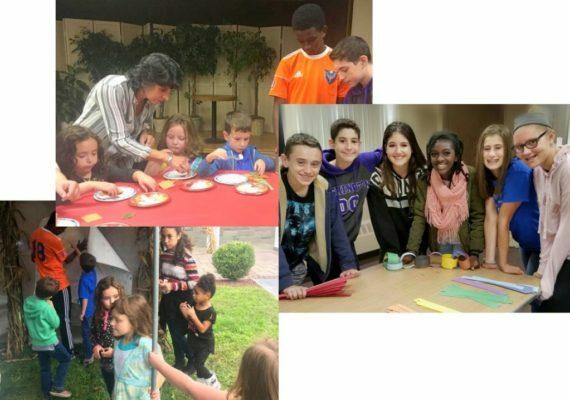 Enjoy opportunities for prayer, learning, social interaction, and Jewish and personal life-cycle support. Enrich your life with meaningful rituals, caring friendships, and joyful celebrations. 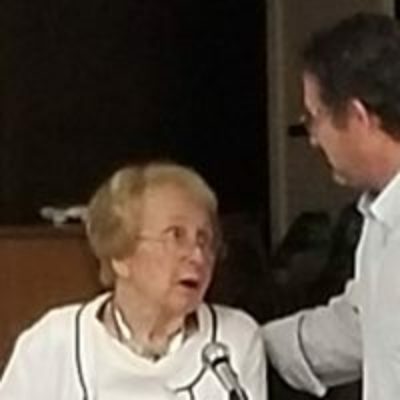 Join a welcoming congregation where you are accepted as you are at any level of involvement. for an evening of cabaret! with beloved Broadway show tunes! and the Eugene O’Neill Cabaret Conference. organizations throughout the country as well as in public venues. 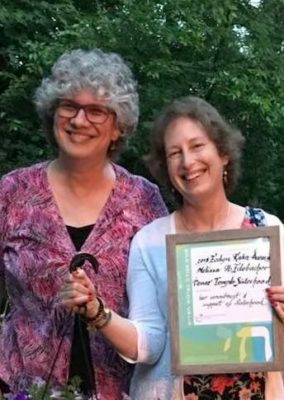 Vassar Temple is united with our interfaith community in condemning all forms of hatred and bigotry. We stand in solidarity with our Muslim friends locally and globally following the horrific attacks in New Zealand. We mourn the victims and pray for the injured, families, and Christchurch community. **The drawing date for the Golden Gelt Raffle has been changed to April 28. This raffle is open to the community, so please encourage your friends, relatives near and far, business partners and acquaintances outside the temple to participate. 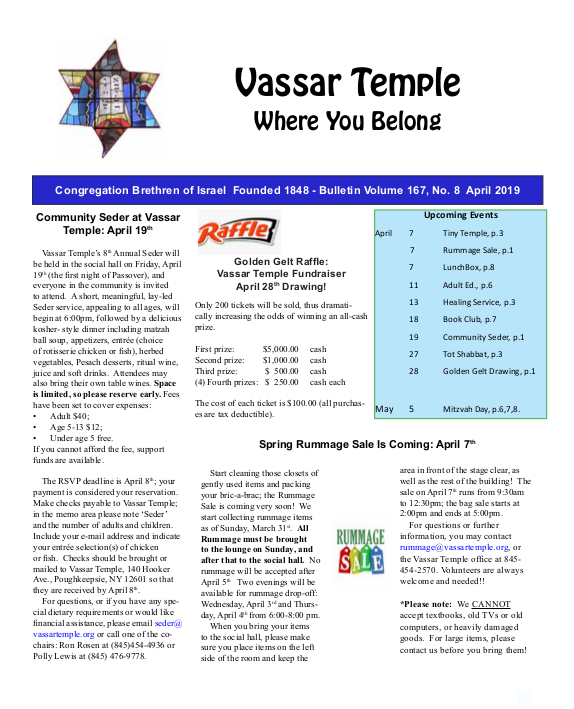 The drawing will be held on April 28, 1:00 pm in Vassar Temple’s Social Hall. 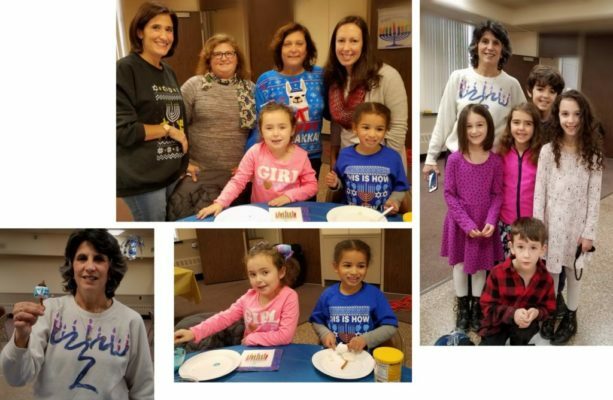 Please join us for the 2019 Flexible Feast! 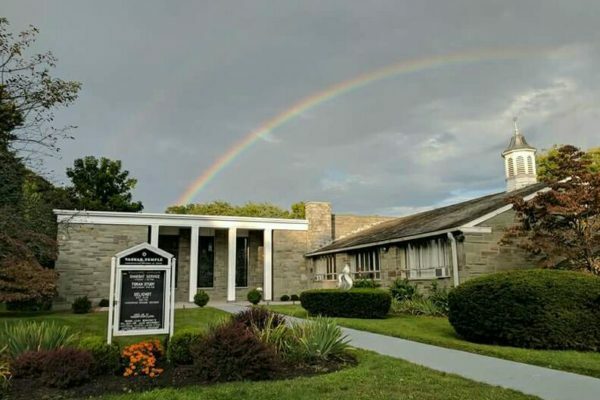 Click here to read about what’s going on at Vassar Temple … upcoming events and this week’s happenings. 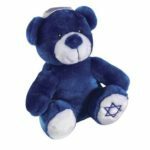 Among the items we stock are jewelry, gifts, books, ritual items, art and cosmetics from Israel. 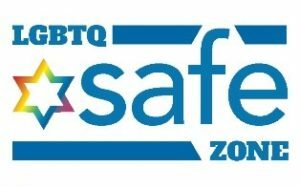 We even have Jewish Silly Bandz in unique solid color, glitter pack, tie-dye pack and glow-in-the-dark varieties. Perla will also be glad to help you with special orders. 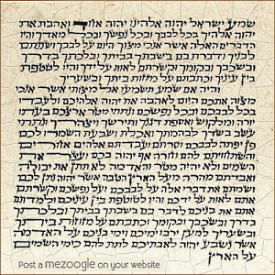 Come and see us for all your Judaica needs; we look forward to your visit! 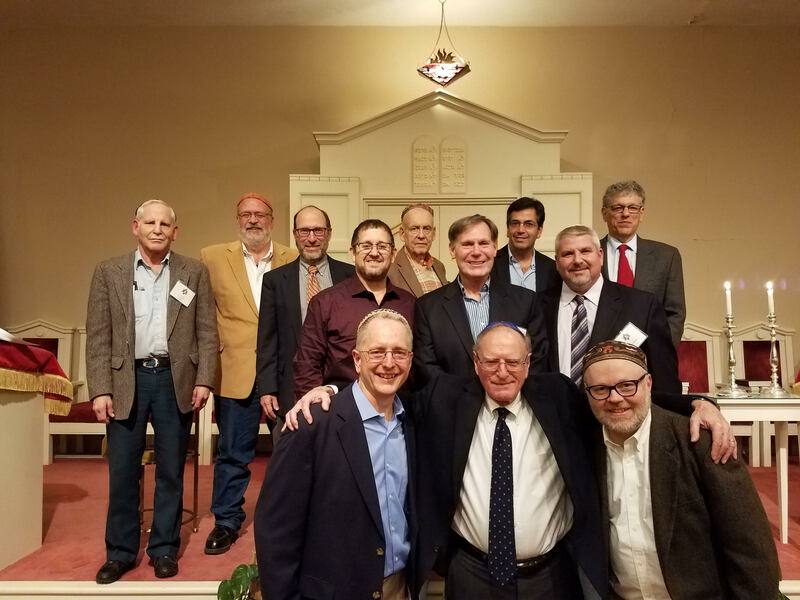 Members of the Vassar Temple Men’s Club who participated in the annual Men’s Club Shabbat service on November 18, 2016 pose on the Bimah following the service. 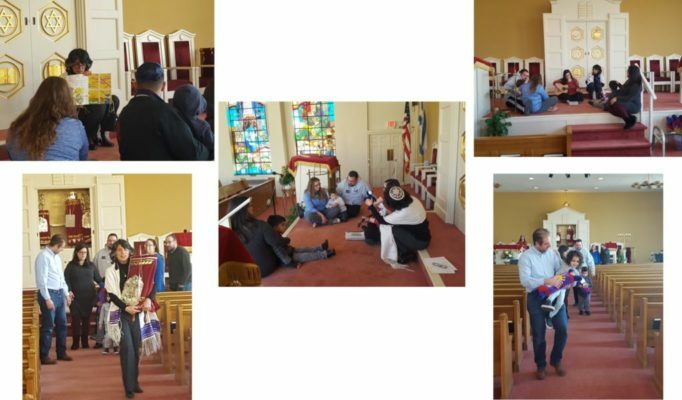 Rabbi Paul Golomb, Senior Scholar, honored the group by continuing a recent tradition of reading from the Torah during the service.